Living in the DFW area, residents are all too familiar with severe weather. 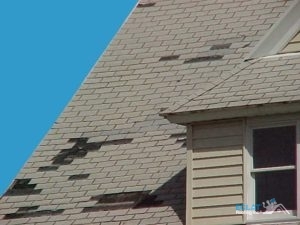 From the high winds and torrential rain that come with tornadoes to the springtime hail storms, all this weather can take a real toll on roofs. Luckily, Eclat Roofing provides Dallas, TX hail-resistant roofs (also known as impact-resistant roofs) meant to withstand severe weather. Hail can damage your shingles and chip away at them. Once hail damages this first layer of your roof, your entire roof is vulnerable to further damage. Installing a hail resistant roof will provide your home with more protection than traditional roofs since these are more durable. We strive to give our customers a wide selection of materials to choose from in order to customize their roofs. We can build impact-resistant roofs from metal, tile, slate, asphalt shingles (certain types) and more! Call us now at (214) 373-1500 for your impact resistant roof installation! The advantages of installing a hail resistant roof are numerous. They increase the value of your home. Since impact-resistant roofs are made of materials that resist damage, they have a longer lifespan and will increase your home’s value, making them a solid investment. They can save you money on home insurance. The durability of hail-resistant roofs makes them more protective than other roofs against severe weather. For this reason, installing an impact-resistant roof can lower your home insurance rate. You can talk to your insurance company about what sort of incentives they offer for hail resistant roof installation. A hail resistant roof will also save you from having to file insurance claims from hail storms down the line. Since 1999, we have provided homes in Texas, Oklahoma, and Louisiana with roofs that last. Eclat Roofing wants your home’s roof to stay intact through hail and severe weather, and installing a hail resistant roof is the best way for us to accomplish this. Our roofers will treat your roof just as well as their own in any roofing project they do. Call us now at (214) 373-1500 to learn more about Dallas, TX hail-resistant roofs! Updated on September 13, 2018 at 3:07 pm by Eclat Roofing.